Yesterday, I signed divorce papers. 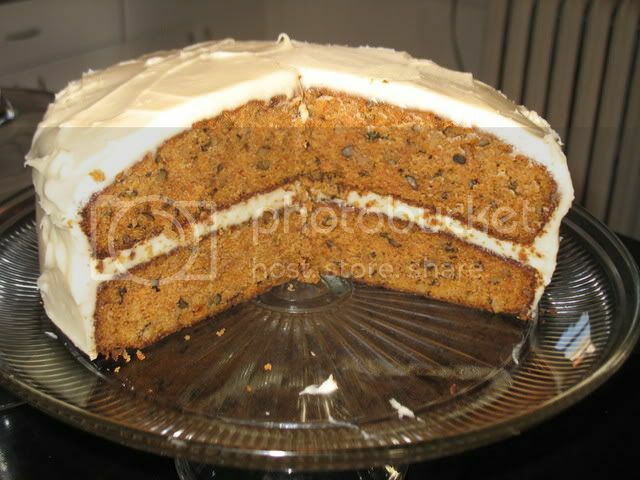 And iced a carrot cake I had baked the night before. One thing destroyed. One thing created. Butter & flour two 8 or 9-inch round cake pans. Mix flour, baking soda, salt, cinnamon, & ginger in a bowl. In another bowl, whisk sugar & oil. Add the eggs, one at a time. Then, gradually add flour mixture. Stir in carrots & nuts. Pour into prepared pans. Bake 30-40 minutes, or until a toothpick inserted into the center comes out clean. Cool 15 minutes in pan before removing cakes to a cooling rack. Cool completely before icing. Beat cheese & butter together. Add sugar, mix well. Add syrup.